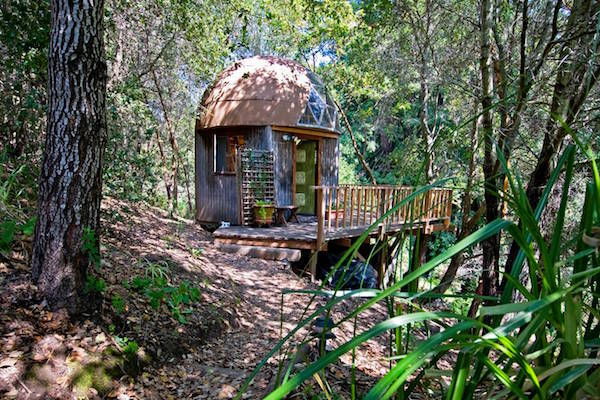 A small wooden cabin called ‘Mushroom Dome Cabin’, located 80 miles from San Francisco, currently holds the title of the most popular Airbnb listing in the world, according to news.com.au. 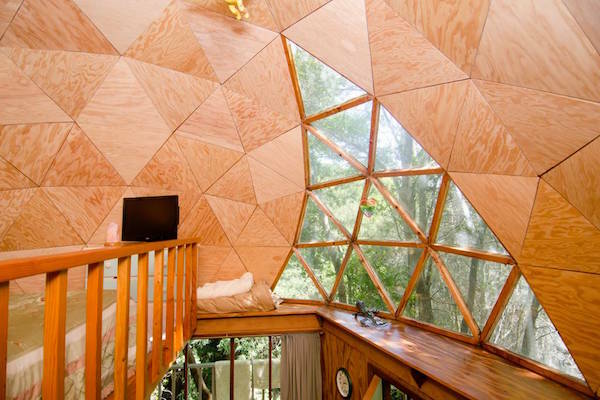 Owners Kitty and Michael first began posting their dome-shaped house on Airbnb 10 years ago. Since then, they have received 1,299 reviews, with 95-percent of their recent guests giving the house a five-star rating for location, cleanliness, and value. The rental has retained its spot of top Airbnb listing in the world since DesignTAXI featured it in 2016. One of the ways the cabin stands out is through the thoroughness of its facilities. Besides the usual bed, Wi-Fi access and toiletries, there is also a 32-inch flat screen TV, a French press coffee machine, breakfast ingredients, and even a popcorn maker. Guests do not have to run somewhere else to get breakfast or snacks. Of course, its design stands above the competition as well. 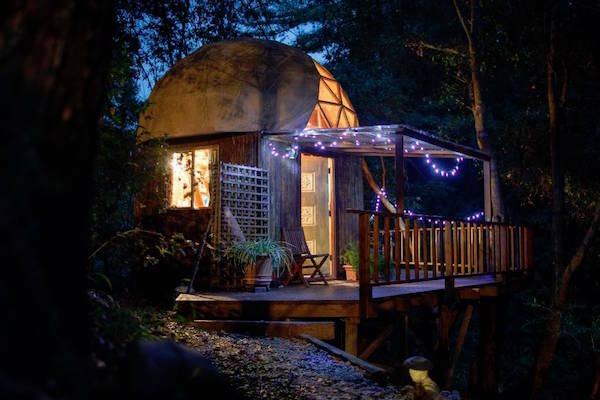 The hut’s glass dome-shaped roof allows guests to enjoy some star-gazing before they sleep. The waiting list is so long, interested guests will have to wait until October for a slot to be freed up. 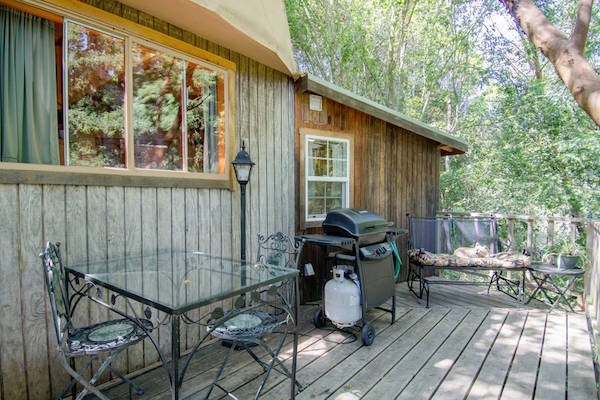 With the state of overpopulation in the cities, it is also understandable why a quiet cabin in the woods is a welcomed getaway for many. Check out more pictures of the cabin here.